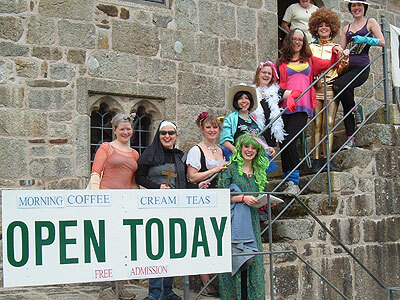 May was a particularly 'arty' month for Church House. 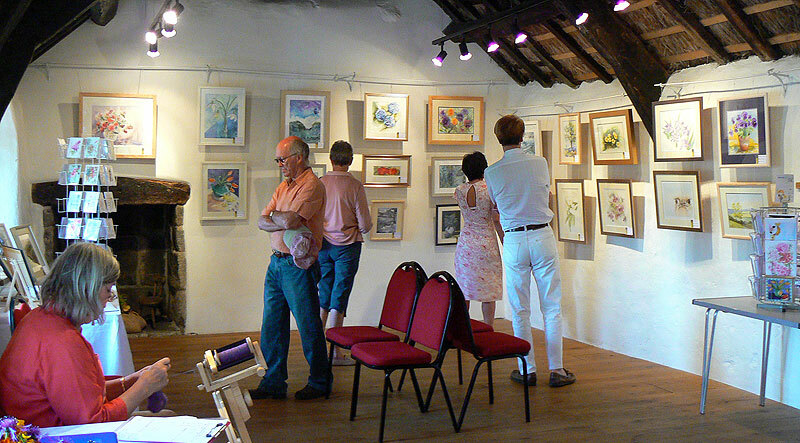 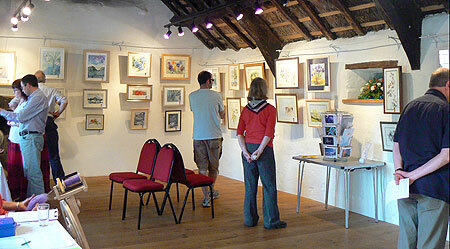 You probably know that there are various art classes held on the premises throughout the year In addition to these, Church House is particularly well suited to the holding of art exhibitions both because of the atmosphere of the building itself and because of the availability of professional hanging fittings. 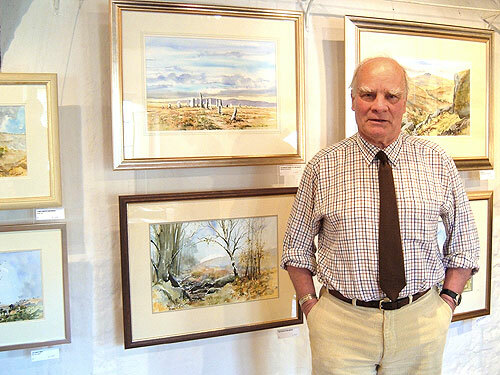 Early in the month, John Christian, our local watercolour artist of world renown, held a very successful exhibition of his works, selling some 32 of them to collectors of Dartmoor scenes. 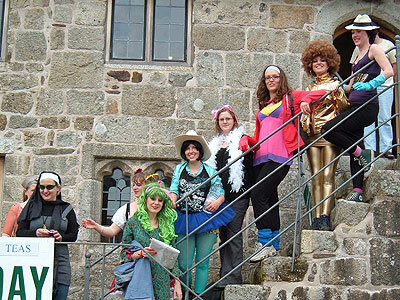 During his exhibition, he had a visit from art of another kind in the form of a group of glamorous ladies, in fancy dress and walking boots, making their way to Belstone. 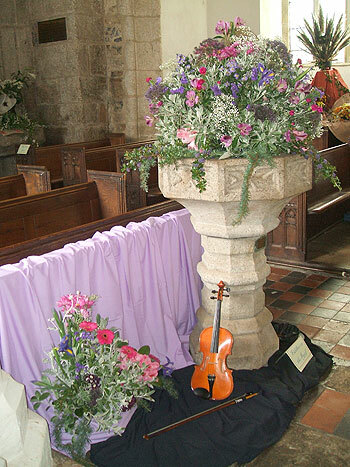 One of the group had previously sang in a concert at Church House. 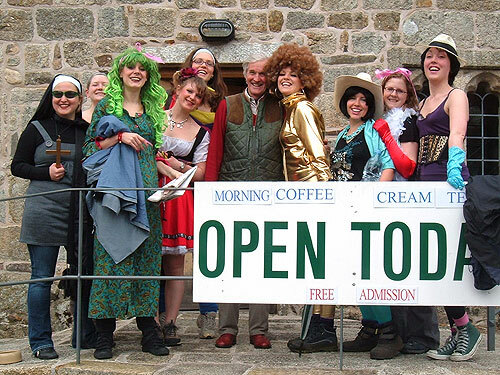 The gentleman who has squeezed himself in amongst the girls is John's brother in law! 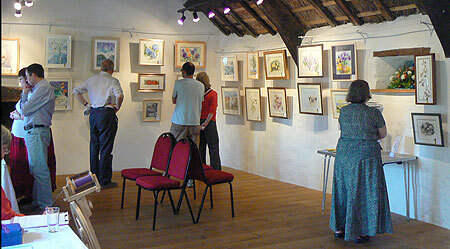 Hardly had John's exhibition closed, when it was time for the South Tawton Flower Festival which is held in the next door St Andrew's Church. 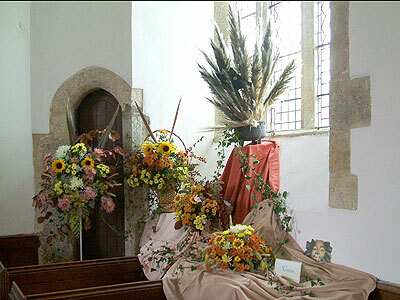 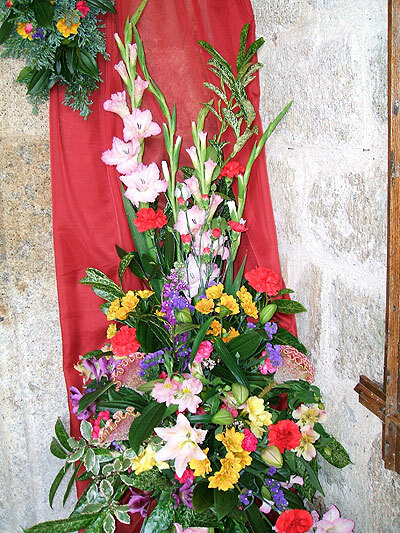 What could be more pleasant than a quiet time looking at the art of the local flower arrangers followed by a pleasant browse around the work of our local artists?